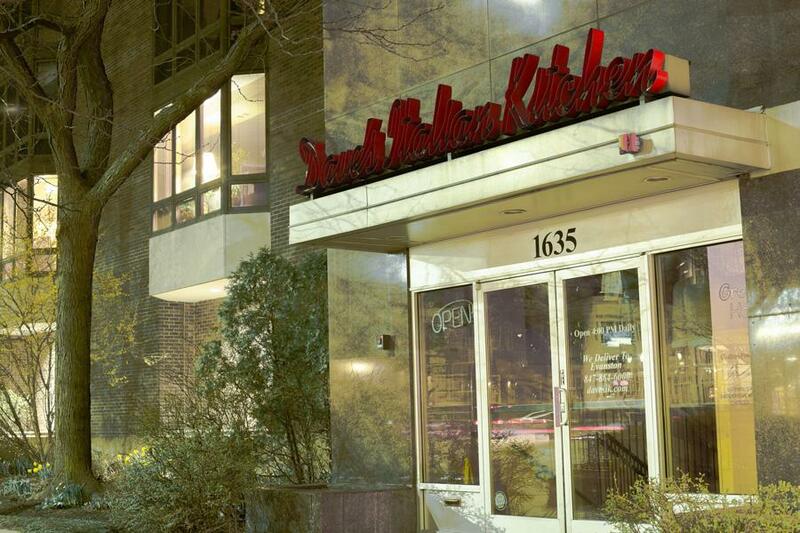 Dave’s Italian Kitchen, located on 1635 Chicago Ave., closed Monday. The restaurant had been open in Evanston for over 40 years. Dave’s Italian Kitchen, a 44-year-old Evanston establishment, closed its doors permanently Monday night. The restaurant, located on 1635 Chicago Ave., officially announced its closing on social media at 8 p.m. but could not be reached for comment. Ald. Judy Fiske (1st), expressed her surprise about the restaurant closing during City Council on Monday night and said the restaurant will be missed by all of Evanston. Earlier at the Council meeting, Dave and Ellen Glatt of Dave’s Italian Kitchen received keys to the city. While neither of the recipients were able to attend, Kevin Brown, Evanston’s Youth and Young Adult Program manager, accepted the award on their behalf. Ald. Peter Braithwaite (2nd) also expressed both his sadness and gratitude to the workers and owners at the restaurant. Fiske said she had eaten at Dave’s once a week for as long as she could remember, and knew the business well. Dave Glatt was in the kitchen himself every night, she said, and had an incredibly loyal following. She said Dave’s was a restaurant enjoyed by everyone who lived in Evanston, and “defined so many people” in the city. Correction: A previous version of this story misstated the restaurant’s address. The restaurant was located at 1635 Chicago Avenue. The Daily regrets the error.